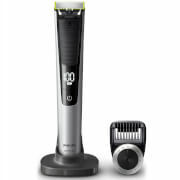 The Philips QP6510/25 OneBlade Pro Hybrid Trimmer and Shaver with 12-Length Comb is the only grooming tool you need, expertly designed to cut any length facial hair at all stages without the need to change heads or blades. 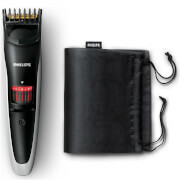 The 12-length comb attachment can be adjusted to 12 locked settings for maximum precision, perfect for everything from 5 o’clock shadow through to a longer beard. 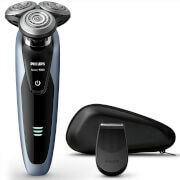 The dual-sided blade allows enhanced movability to shave in any direction for optimum visibility, even in sensitive areas, with a rotating head to follow the contours of your face.